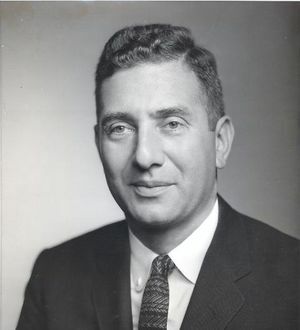 Seymour W. Herwald, IEEE President, 1968, worked as an engineer and manager at the Westinghouse Electric Corporation, focusing on ordnance development and servomechanism development. His professional interests were in servomechanisms, feedback control systems, and analog computers. Seymour Herwald was born 17 January 1917 in Cleveland, Ohio. He earned his BSME from Case Institute of Technology in 1938 and his PhD from the University of Pittsburgh in 1944. He was a member of the National Academy of Engineering. Herwald was IEEE president in 1968. He passed away on 20 August 1998 in Palm Beach, Florida at the age of 81.